1915 - Joined the Bulgarian Workers' Social Democratic Party. 1919 - Graduated from the Law School of the Sofia University. 1923 - Took part in the September Uprising. Sentenced to life imprisonment. Escaped to Yugoslavia. 1925 - Political emigrant in USSR. Worked at the USSR Academy of Science. 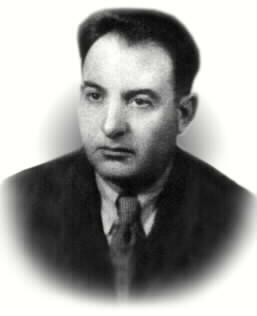 1941 - 1942 – editor of Hristo Botev radio station. 1945 – Head of the propaganda sector of the Bulgarian Workers’ Party (communists) Central Committee. 1946 – 1980 - MP in the National Assemblies and the Grand National Assembly (1947). 1947 – 1949 – General Director of the Central Statistical Directorate. 1948 – 1950 – Vice Chairman and Chairman of the State Planning Commission. 1949 – 1962 - Minister of Finance. 1951 - Member of the Central Committee of the Bulgarian Communist Party.